A Place to be encouraged in your Faith! And the Promise Came to Pass! 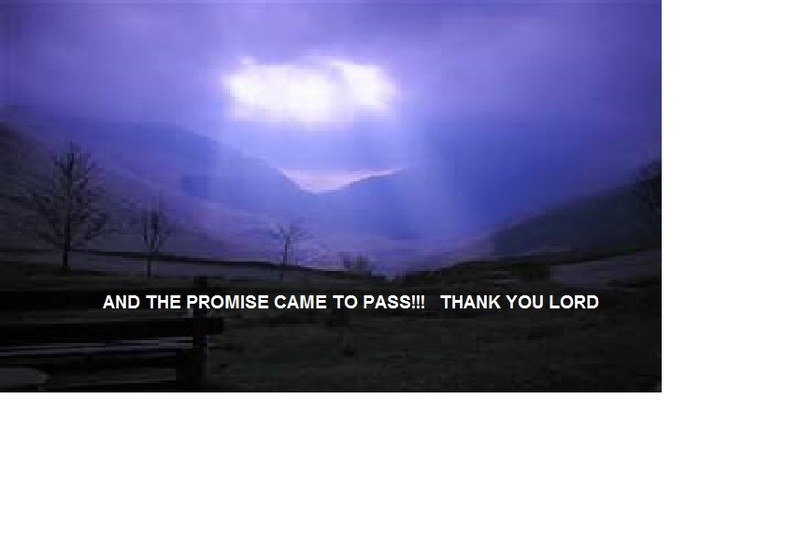 Well, PRAISE the Lord I am so excited to announce that my promise came to pass!!! As a result of me choosing to put my trust in God instead of man, the Lord blessed me tremendously with yet, another supernatural birth. One that has come with so many, manifested miracles that I’ll have to put those in a separate book, but today, what I want to focus on is this, when it came time for me to receive my promise, if you read “Waiting on the Promise Part I and II” then you could clearly see how the pressure definitely intensified. It intensified with temptation, me being at times uncomfortable, tired, weary, feeling different emotions in both the Spirit and natural realm, but yet, in it all, you also read how, though yes, I did experience all of that, still, through it all, I chose to stand. Stand in faith, and believe God for what at that time, had not yet manifested and because of God’s grace and His grace ALONE and because of my stand in Him, I was NOT PUT TO SHAME. Glory to God! Now with this particular pregnancy, I remember having a prophet call me and say, when it was near the end, that I had God’s grace and not long after that word was spoken the Lord allowed me to come into full understanding of that word, by allowing me to divinely hear a bible teacher on TV say how, God’s grace is not only God’s free benefits given to us by salvation, but it is also, God’s enabling power to do for us what we ourselves, in our hopelessness cannot do, and His grace is saying, there is proof of it, that is evident. And so, when I received this word and revelation of this word boy, did I hold onto it with dear life and boy, did it impart into me the supernatural grace for the journey I faced being, His supernatural ability to receive His supernatural promise. If you too, can receive this word by faith, while you’re waiting on your own personal promises of God, though yes, the pressure may indeed be turned up, because you’re so close to seeing and receiving the promise come from heaven and be birthed here on earth, if as well, you too, choose to stand, trust, and not faint in God, despite all else, then God’s grace, being His enabling power, will be given unto you and do for you, what you in your own strength cannot. His grace WILL be at work on your behalf, such that one day, you too, can testify how, finally you did receive (past tense) your promises of the Lord. Yes, in the here and now. Yet, in the meantime, while in your current wait, please know this, the promises of God are…Yea and Amen! I can’t wait to hear your testimonials as well, as a result to your faith and stand in God. This entry was posted in Uncategorized and tagged christianity, encouragement, promises of God, prophetic word, word of God, word of the lord. Bookmark the permalink. Fight Back with the Word of God!